Here, the negative X region has the millimeter scale, but the positive region has the centimeter scale. Placing a zero-gap axis break in the axis achieves such axis format. The following is the essential procedure to do this. 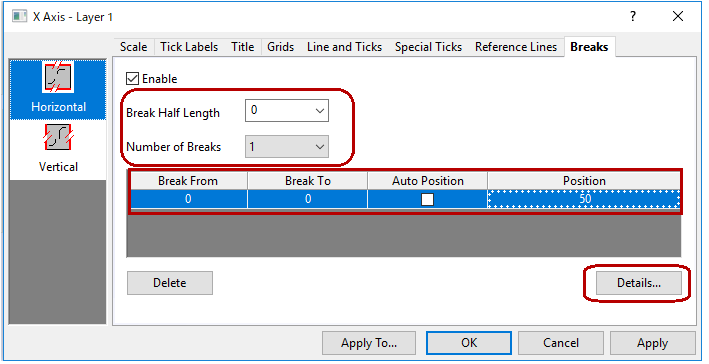 1) To make an axis break, in the Axis dialog, Breaks tab, set the Number of Breaks to 1. Also, as we don’t want to show the break’s wavy marks, set 0 to Break Half Length . 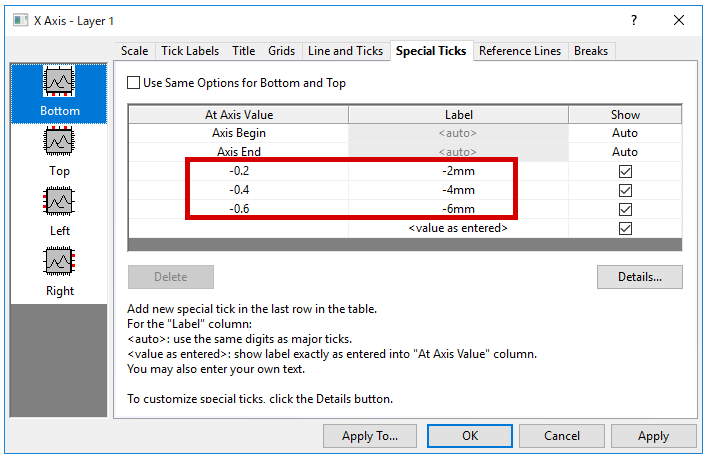 3) Finally, in the Special Ticks tab, you can put the (major) tick labels (here, -2mm, -4mm, -6mm) at specific X positions. Download the project file of this sample from here.